Thinking about it now, I don't particularly remember many Halloween's from when I was younger. It was pretty much try to create an outfit out of the mix'n'match pieces in the dressing up box and going round the neighbour hood trick'or'treating. But I'm hunting through the photos to try and find the few times I remember. I don't particularly remember this photo or the time it was taken, but I found this to be the first photo evidence of doing anything for Halloween. I think before that I was most likely too young, or my sister was and Halloween is no fun if you don't have someone to walk around with. As far as costumes go, nothing has beat the first one, the rest that I have photos of our late junior school early secondary, so were pretty much me trying to be as cool as possible. Even if I'm totally not cool. This last photo was actual from a blog post last year that I did for a similar Halloween series, it was about as much as I did for dressing up, and all it was for was a blog post >_<. 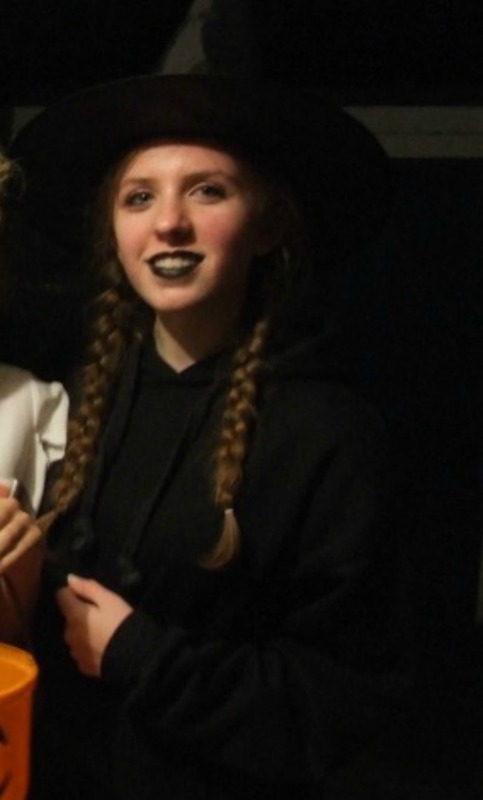 By the time it got to last year, I kind of gave up on an outfit since I wasn't the actual on going trick'or'treating (it was my sisters and cousins) and instead just focused on my make-up. Pretty much from the shoulders upwards. 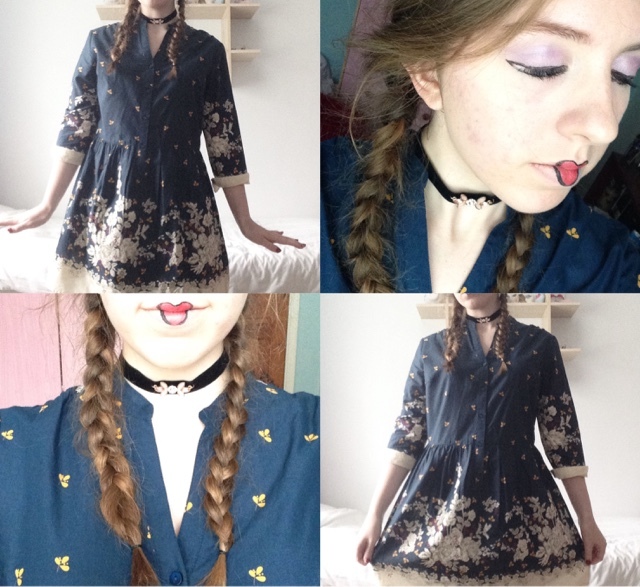 Though the first picture definitely is my favourite outfit - I was actually quite disappointed when it didn't fit anymore - I like how the last one turned out. Mainly because the black lipstick is kind of a secret like of mind. Hardly ever wear it, but kind of like the look it brings. 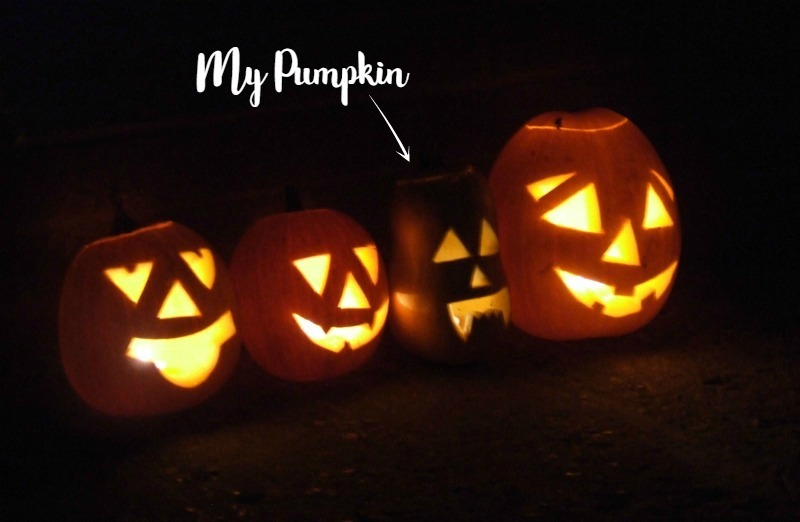 Apart from my awful dressing up skills, we've also carved pumpkins the last few years. Though I'm sure people do this every year, we didn't get to till we grew out own in 2010. Despite mine looking like a butternut squash I felt like it was the best since it was so uniqie. No point having the same as everyone else right? Since then we've carved pumpkins two more times, well when I saw we I more mean my sisters! We only had one pumpkins and three people carving it was a bit too much. But I have to say they've gotten pretty good at it. I don't think we'll have a pumpkin this year and I don't think we're dressing up either, why did you have to fall on a Monday Halloween? But maybe in the future I'll get invited to a Halloween party and I can re-live the cringy times of dressing up again. So that's the last of my Halloween posts. 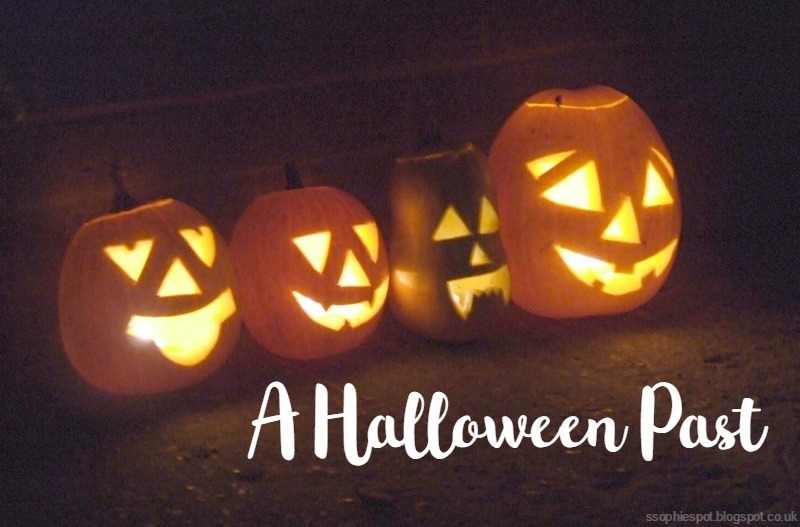 If you don't celebrate Halloween, I'll be back to my usual posts next week, and if you did read any of the posts this week thank you. But for the rest of you Happy Halloween! Even if it is a Monday >_<.